Catch great Tealive promos from 10am to 10pm today! Tealive Thursdays are now only applicable to Unitea card members. 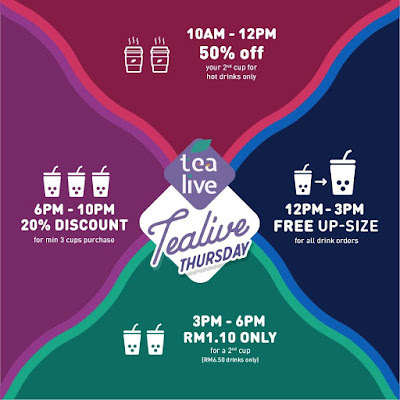 Enjoy our exciting 10-to-10 promos on Tealive Thursday if you're a Uni-tea cardholder! Head over to any of our Tealive outlets to get your Uni-tea member card at only RM10.60. Upon sign-up, get a complimentary drink on us! For queries related to card replacement, drop us a Whatsapp message at 012-2898581 with your card number.